After the crushing death of freshman TSU football player, William Wayne Jones III, AED.com has donated an AED to the University in his name. 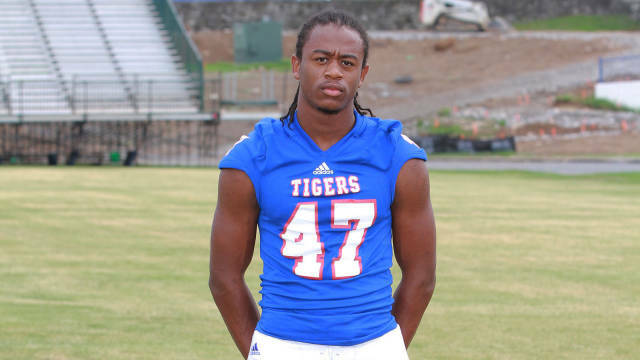 During a Tennessee State University football practice, freshman defensive back, William Wayne Jones III, collapsed. During a non-contact practice, Wayne caught a football and was returning it to defensive backs coach Ed Sanders, when he went down. Trainers tended to the nineteen-year-old who was unconscious and without a pulse. He was taken to Baptist Hospital in Nashville, TN, where he passed away at approximately 5:50pm CST on Wednesday November 7th, 2012. Head coach, Rod Reed, said that Jones had a preseason physical and that there were no pre-existing conditions found that would have caused this to happen. 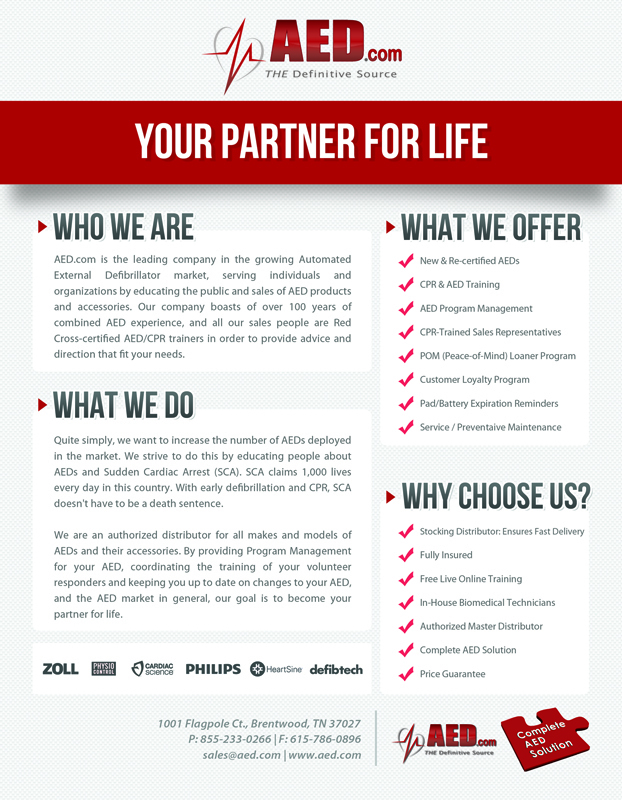 In the wake of this devastation, AED.com decided to donate an AED to the Tennessee State University Athletic Department as part of their 100 AED Donations in 2012. 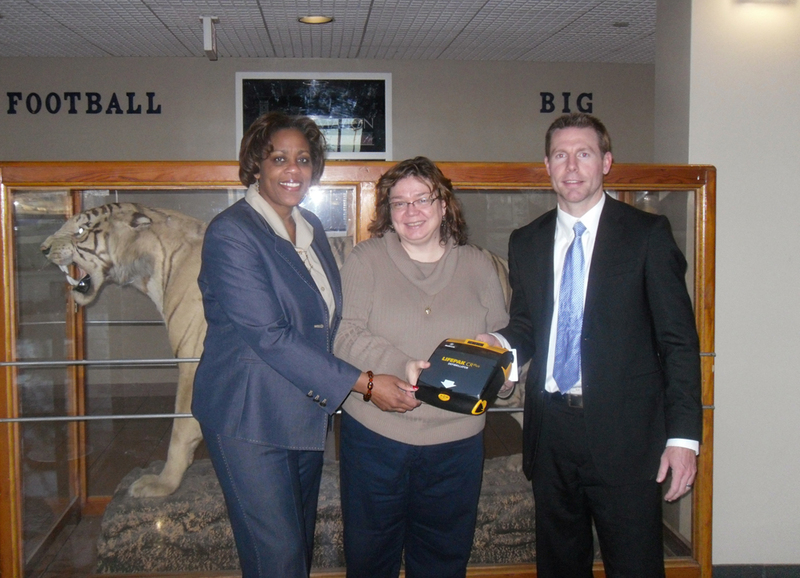 Shane Burton, an AED.com Sales Representative, presented the LifePak CR Plus AED to Teresa Philips, Director of Intercollegiate Athletics. 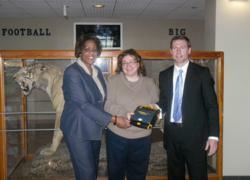 "Please accept my heartfelt thanks for your gift of an AED to Tennessee State University Athletics. As you well know, we experienced a loss of a student-athlete very recently and are still very shaken by that experience," commented Philips. "This additional AED will bring a level of assurance in the indoor practice facility that life-saving equipment will be readily available."